Artist's impression of the proposed Inverness jail. 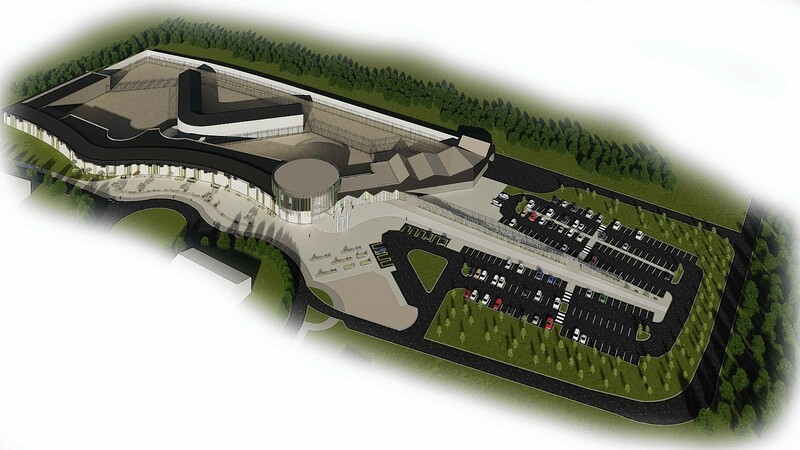 Radically redesigned plans for a proposed new £66million jail in Inverness can be revealed for the first time today. These images show how the prison complex will look if it is approved for a site beside the city’s biggest retail park. The artist’s impressions will go on display this afternoon at a public exhibition hosted by the Scottish Prison Service (SPS). It will gauge public thinking about the design and location choice – which is behind the Homebase store at the rear of the city’s biggest retail park, in the West Seafield area of the Highland capital. It was the preferred option after a previous choice beside homes at Milton of Leys was withdrawn following a public outcry. The latest exhibition is a precursor to a formal planning application being submitted to Highland Council and a full public consultation. The new facility – “HMP Highland” – will replace the overcrowded and ageing Porterfield Prison which has stood dominant in the Crown area of the city since 1902. In recent times, it has housed an average of 117 inmates in a building designed for 103. The new jail will serve the Highlands and islands and Moray, and feature facilities for family help and a community integration unit in addition to a prison block. The revised designs are considered more suitable by the prison service and were instantly welcomed by community leaders. SPS spokesman Tom Fox said: “It better fits into its environment. It’s an innovative design and probably not what people are expecting. Today’s exhibition is between 2pm and 7pm at Inshes Church. A pre-planning application for the new facility was lodged by the SPS last month after bosses confirmed they had concluded a deal for the land. The announcement sparked victory celebrations among Milton of Leys residents, who joined forces to successfully fight off hugely controversial proposals to build the city’s new jail in their community. The Press and Journal revealed in June last year that the alternative location being considered for the prison was a site to the rear of the retail park, bounded to the west by the rail track and to the north by Stoneyfield Business Park. The SPS later reached an agreement for the 18-acre plot with Hazledene Inverness, which also owns the Milton of Leys site and had put the retail park land forward as an alternative option amid local uproar. The new proposed prison site is zoned for retail in the local development plan and was previously suggested for a £40million expansion of the shopping park. 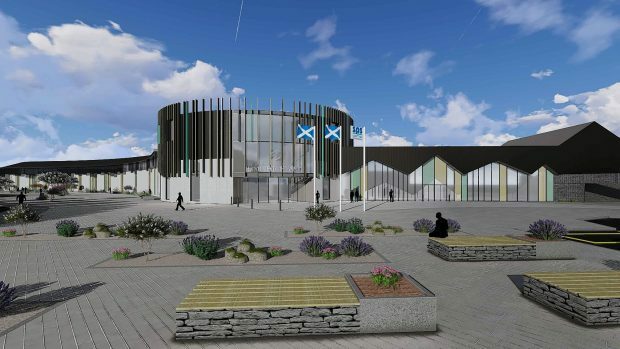 Last year, Highlands and Islands Enterprise was granted permission to build a new bridge and a link road next to the plot, so that pedestrians, cyclists and buses can cross the Inverness to Perth rail track between the University of the Highlands and Islands (UHI) Campus and the retail park. If the revised prison plans are approved, visitors and staff could access the site from a new rail station being considered for the Inverness to Aberdeen line to serve the shops, UHI campus and Stoneyfield Business Park. 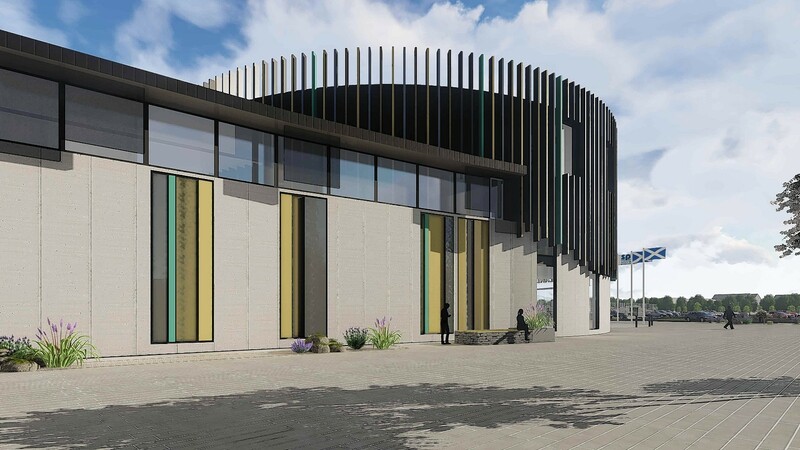 The prison project is progressing as the Scottish Courts and Tribunal Service moves forward with recently-approved plans for a new £23million justice centre off Longman Road on the site of a former bus depot. It will free-up Inverness Castle to be transformed into a new tourist attraction.